As any voracious reader knows, there are so many books out there, it can be hard to choose just what to read next. So what could be better than a hand-picked recommendation from someone in the know? 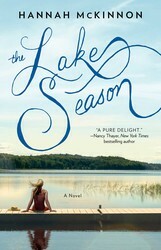 Every Wednesday the XOXOAD team likes to find out what some of its favorite authors are reading; today we’ve asked Hannah McKinnon, author of The Lake Season, to tell us! It can be easy to fall into the stylistic rhythms of an author whose work you’ve immersed yourself in, just as one may find themselves adopting a slight twang speaking among a group Aussies, or a soft drawl among Southerners. And the very last thing any writer wants to be accused of is mimicking anyone’s work. I just began- and will too soon finish–because it is that good–Sarah Addison Allen’s First Frost. Both the writing and story are magical. Her style and subject matter remind me of all I love about Alice Hoffman novels- there is the feminine mystique measured against the natural world. In First Frost, each Waverly woman is searching for something , and their present day stories are as tangled with the legend of their family’s past as they are with one another. But when a sinister stranger arrives from out of town on the eve of first frost, you know something is about to change the course of their paths. I’m completely enchanted. Elin Hilderbrand’s The Matchmaker was an enjoyable escape. A fan of her Nantucket summer novels, I love that Hilderbrand creates characters we can recognize from our own lives- without being entirely predictable. The setting, always a character in its own right- is irresistible enough. But her female protagonists are drawn with the same glaring flaws and tributes of a best friend- and we want to root for them. Dabney Kimball Beech is no different, as she must work quickly to right the wrongs of the past and to make her final and most important match of all. Love and Treasure by Ayelet Waldman was an enormous read in its wide sweeping coverage of history, lost love, and regret. Waldman opens with the aged and terminally ill former Army officer Jack Wiseman, a Jewish New Yorker, who was charged with guarding the Hugarian Gold train in post-World War II Salzburg. His memories, shared decades later with his granddaughter, Natalie, are still haunted by the guilt he feels about witnessing, and eventually participating in, the gradual pilfering of the contents of the Gold Train during his command. The breadth of the story is breathtaking in itself. But the writing and the large cast of characters are equally so. 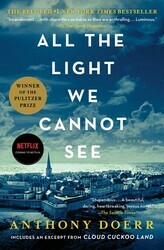 At the top of my stack of books to next read is, All the Light We Cannot See, by Pulitzer Prize winner Anthony Doerr and The Luckiest Girl Alive, by Jessica Knoll, both of which have received critical acclaim and have my fingertips tingling in anticipation…looming deadlines be damned! Set in the weeks leading up to an idyllic New England wedding, this "enticing and refreshing" (Nancy Thayer, New York Times bestselling author) novel sparkles with wry wit, sweet romance, and long-kept family secrets. As new love beckons and Hampstead Lake shimmers in the background, Iris must decide when to wade in cautiously and when to dive--and, ultimately, how to ferry herself to safe harbors in this enticing novel of second chances and the ties that bind. 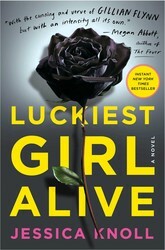 Dabney has always had a gift for matchmaking...but will it work on her own life? A spellbinding new novel of contraband masterpieces, tragic love, and the unexpected legacies of forgotten crimes, Ayelet Waldman’s Love and Treasure weaves a tale around the fascinating, true history of the Hungarian Gold Train in the Second World War. Haven’t read any of these yet. I agree it’s so hard to choose what books to read and they all sound so good! That’s why we need these long summer evenings–gotta fit all the books in!